oogle makeup: First Impressions of MAC face set Whisper of Gilt and comparison "dupes"
First Impressions of MAC face set Whisper of Gilt and comparison "dupes"
I'm shocked that MAC seems to have manufactured enough of these sets with Whisper of Gilt - either this is most unlike them, or people are not as desperate as one may have supposed. (Sadly, begrudgingly, I do belong to the desperate category, so I can't gloat.) I was dreading the brush, which I assumed would be a cheap and nasty scratchy affair, but actually it's replaced my MUD powder brush and I really like it for powdering and for contouring and even for blusher! So that was an unexpected bonus. Now onto the highlighter itself. A lovely lady on Instagram (I hope she doesn't mind me posting her name, krys503) warned me before I got my delivery, that it was neither as "blingy" nor as "peachy" as the original Whisper of Gilt. 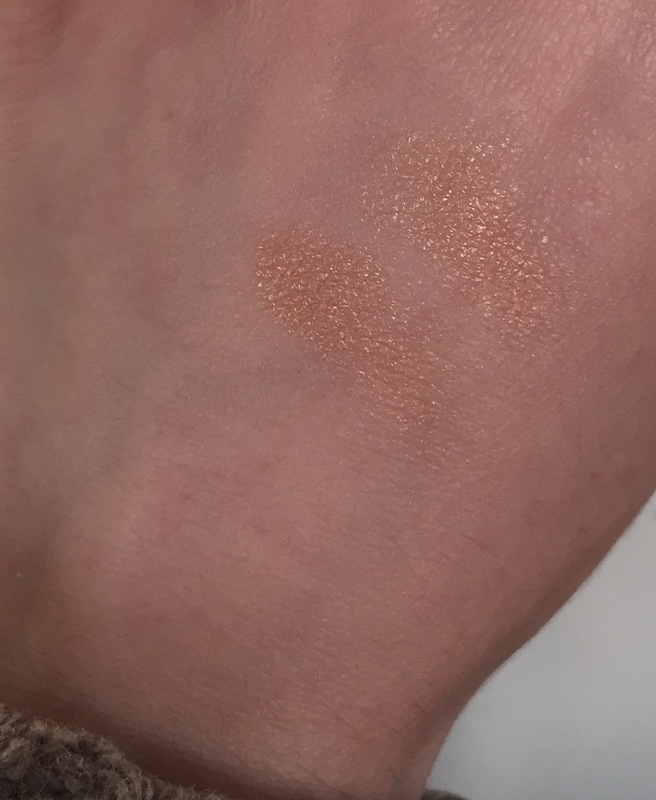 I forgot to ask which original she was comparing it to, but it made my blood run cold - because the blinginess and the peachiness is exactly why Whisper of Gilt is my favourite ever highlighter. I have Anastasia So Hollywood but that lacks the beguling peachiness. And I have the original MAC Oh Darling (I hear the permanent is different but I can't comment as I've never tested this in person) but Oh Darling, although I have now grown to love it, has a far more brownish copper hint than the Whisper of Gilt peachy hint. To me though, it was pure pleasure to see the new one which I feel is still peachy and wonderful. Perhaps time has misted over any supposed discrepancies, but to me, my worst fear was that Whisper of Gilt had been watered down to being like Anastasia So Hollywood, which, whilst beautiful, is little more than a pale gold highlighter. I'm very fussy, so many "dupes" are to my mind, merely versions on a gold theme. The only thing which I don't like is that the website has this listed as a "9g" compact whereas in fact it has 7.5g. I emailed MAC but so far they have kept this misleading description, which I think is a little rude. But overall it's a wonderful re-issue, the compact is gorgeous hammered metal effect and the snowflake embossing is irresistible. The bag is dependably tacky but the brush is a great addition, perhaps not for using as a highlight brush but you will find it a useful tool and it's synthetic so hasn't shed. Overall I'm really thrilled with my purchase.